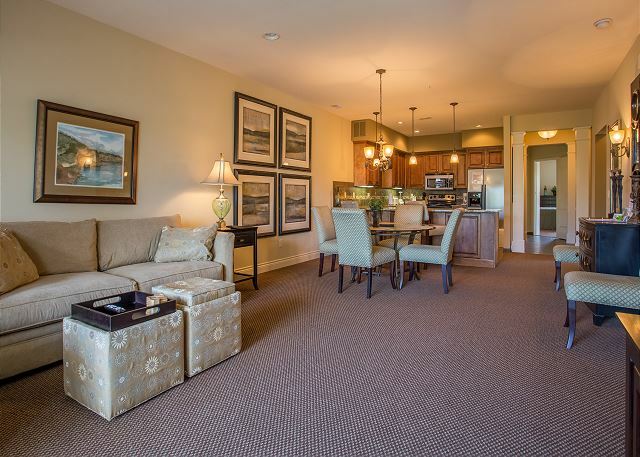 Make sure to make your Branson visit spectacular by renting this marvelous 3 bedroom condo! Prepare to have your breath swept away when you step into this enchanting rental. Elegant and stylish, it is the perfect place for anyone looking to feel posh and pampered in their home away from home. Sit down and chat in the living area, which is connected through an open floor plan to a gorgeous full kitchen. Have a freshly brewed cup of coffee or whip yourself up a tasty meal whenever you want! 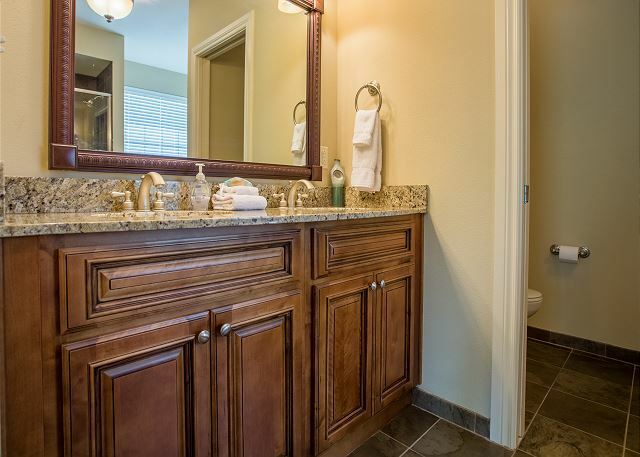 There's even a separate kitchenette in the master suite for those midnight snack cravings. 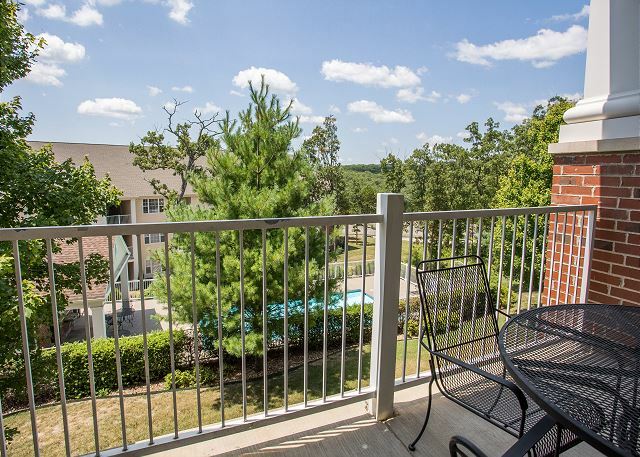 You can enjoy your treats out on the private deck as you soak up the sun and discuss all the fun you'll have out in the Ozarks. Speaking of fun: there's buckets of it in Branson. 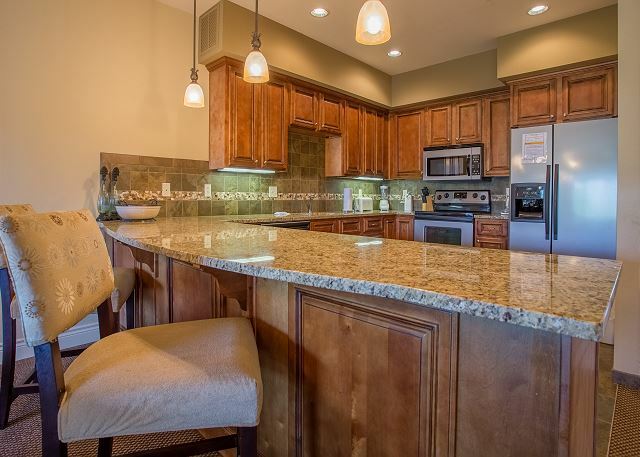 This unit is located in Branson Hills, which is just a quick drive away from Historic Downtown Branson. If you want a unique and memorable day, look no further. 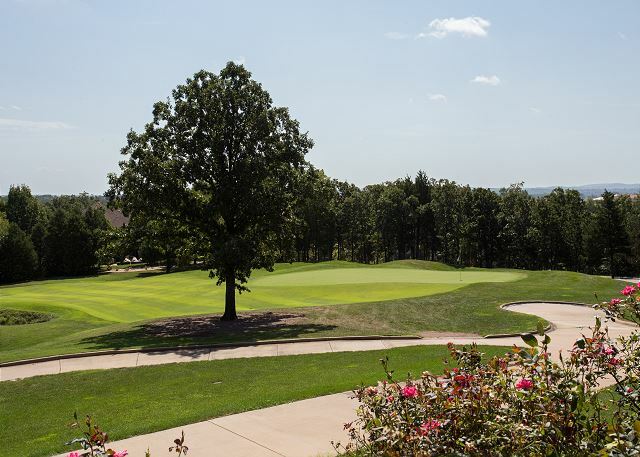 With delightful stores, wonderful family-owned restaurants and diners, and a beautiful view of Lake Taneycomo, it truly is the perfect place for some quality time with your loved ones! Great location. Everything was terrific. Thank you for the positive feedback, Lacha. We hope you will stay with us again! The condo was absolutely beautiful and clean. The only thing we all didn&#x2019;t like were the beds. They were very lumpy and uncomfortable. I immediately had to see a chiropractor when I got back. The location was great! Close to the Branson strip and had a lot of great stores and restaurants near by. We truly didn’t know what to expect but we’re totally blown away by the location, accessibility and more importantly the cleanliness of our rental! In a few words, we had a fantastic stay in Branson over the 4th! The property was in a beautiful location; not far from the strip and much closer to shopping and golf than we anticipated. Our experience was one we’ll treasure for years to come. We are already planning our next Branson Adventure for next summer. Thank you to the staff and property owners for making our stay a delightful experience! Three over-70 widows on vacation. 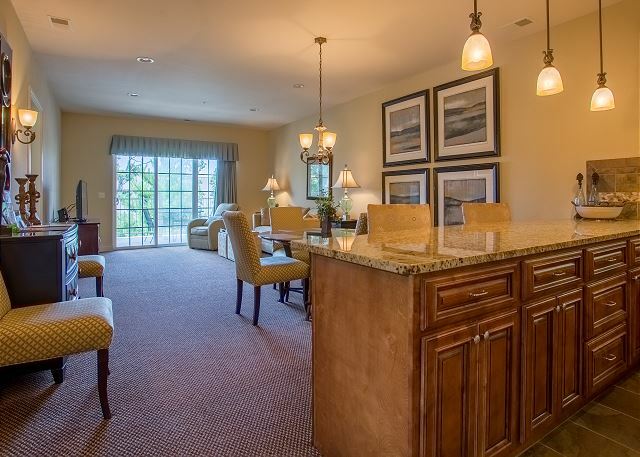 Had a hard time finding a 3 bdrm, 3 bath unit with elevator so this layout was great for us. 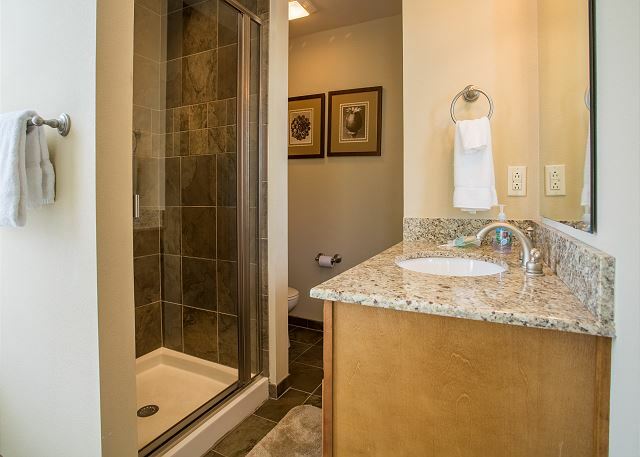 Would suggest making the bathroom a jack/jill with direct access from the smaller bedroom so that occupant doesn't have to go through the hallway to use the facilities. Have had this type of arrangement in other units and it works well. 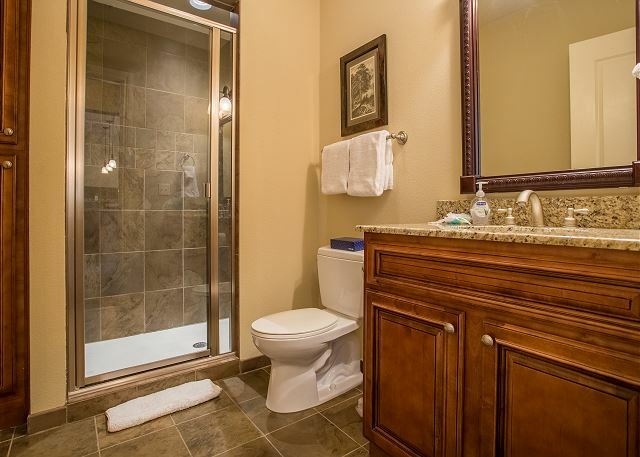 Overall condo was clean and nicely furnished. We had some problems with the lockout (3rd bedroom) unit: dripping faucet and water gasket issue with shower door. The plumber came right away and put in a new faucet and the tech tried to fix the shower gasket, but it was not a permanent fix. Management company responded to our issues quickly. It would have been nice to know in advance that we had to keep the door into the lockout unit OPEN or it would close and lock with no way to open it since it was a cardkey entry and we only had a pass code for the main door. 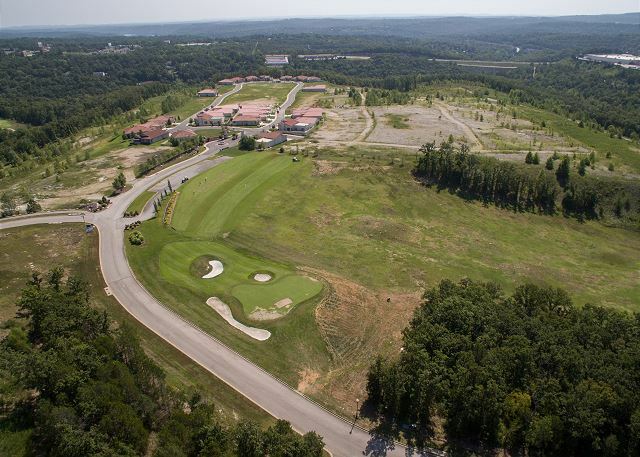 The property is a little far from the strip, but it was certainly manageable. Overall we would give the unit a 95% rating with just the minor issues. Condo was amazing. Clean, convenient, and family friendly!! We loved it. Will stay again!! Great place. Only suggestion would be more towels. Our experience went smoothly from start to finish. Accommodations were very nice. It’s nice having the 3/3 combination. First time being on second floor and perso up above was a little heavy footed at times but that is to be expected. Great!!! We had a great and fun experience in a wonderful condo!!! Upon walking in we could tell this was the perfect set up for our two families. We were comfortable and everything was very spacious. Would totally come again! Our stay was awesome. 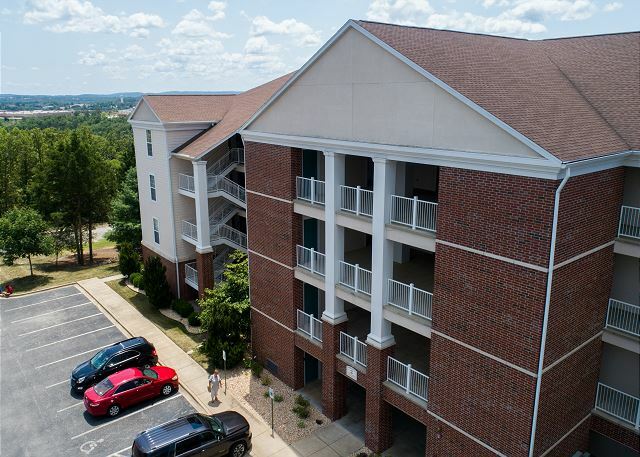 Easy access to and from 65 as well as red route to all the attractions. Condo was spotless and kids loved the pool. Will stay here again on our next visit. Hello, Stacy, thank you for writing us your review! We're so happy to see you have a great time at Branson Rendezvous. We hope to see you again soon, and don't forget to mention your previous stay for a special returning guest discount! THIS WAS THE MOST BEAUTIFUL PLACE WE HAVE EVER STAYED IN. THE DECORATIONS AND THE WHOLE HOUSE WAS FIXED UP SO BEAUTIFULLY. WE ENJOYED THIS HOUSE AND FELT LIKE WE WERE AT HOME. The condo was wonderful! Plenty of space for all of my family. Easy access to Silver Dollar City and the Landing. We used the kitchen a lot to save money on meals out. It was very accommodating. My only suggestion is perhaps a few more extra trash bags and dish soap. Hello, Adam! 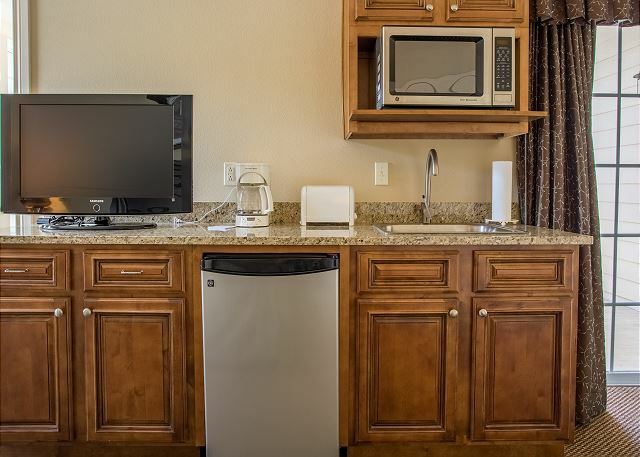 We're so happy to hear that Branson Rendezvous was the perfect fit for you! We appreciate your review, and we hope to see you again in the future. Don't forget that you have a special returning guest discount waiting for you when you're ready to return! We really enjoyed staying at Branson Rendezvous! The condo was very clean and spacious. The outdoor pool was also very clean and relaxing. The condo was located far enough away from all the traffic, yet it was close to all of the attractions. We would definitely stay here again! Very nice unit! Our stay was enhanced by the clean, well-furnished condo. It was our second stay in this unit! Hi, David! Thanks for the review. We're so glad to hear that Branson Rendezvous continues to live up to your expectations! We hope to see you again for a third time, and don't forget to mention your previous stays with us for a special returning guest discount. I really enjoyed my stay. The amenities were excellent!! The stay was GREAT!! We loved it!! Hi, Sharonda! We're so glad you enjoyed your time at Branson Rendezvous. 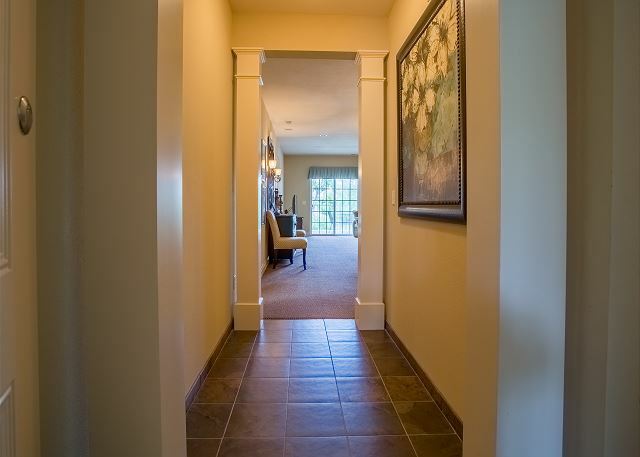 We hope to see you again soon, and when you come back just mention your previous stay for a returning guest discount. Thank you so much for the review! Overall generally good but we had 6 people and there were not enough comfortable chairs. Only negative issue was the low to ground toilets. Having elderly people there this became an issue. One bathroom with a handicap height toilet would have been appreciated. Place was very nice & away from the crazy traffic. What I didn't like is that we only got one towel per person to use for a week(gross) & 2 rolls of toliet paper per bathroom for a week. Sorry but I didn't come on vacation to do laundry so more towers should be provided. Limited toliet paper is ridiculous. If you have to go you have to go. Then the people who rented above us let their kid& dog run the floors at all hours. My family and I really enjoyed our stay. The condo was clean and well appointed. 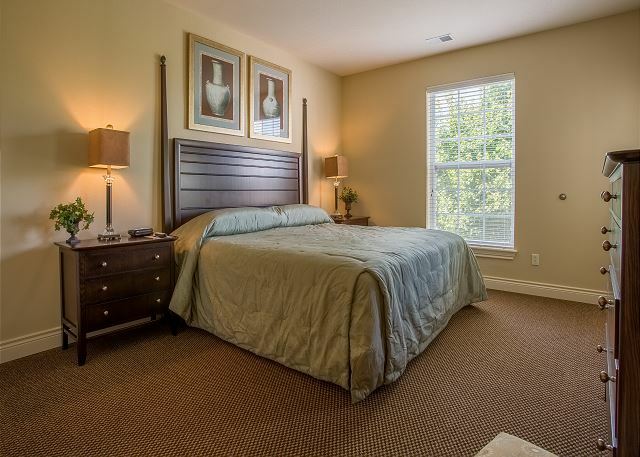 The bedrooms were spacious and the location was close to many attractions and shopping. It was a very nice unit, easily accessible. A quiet place away from the noise and "busyness"
This was perfect for our family of six. I, the grandmother, had my own area, and it accommodated the parents and three kids well. 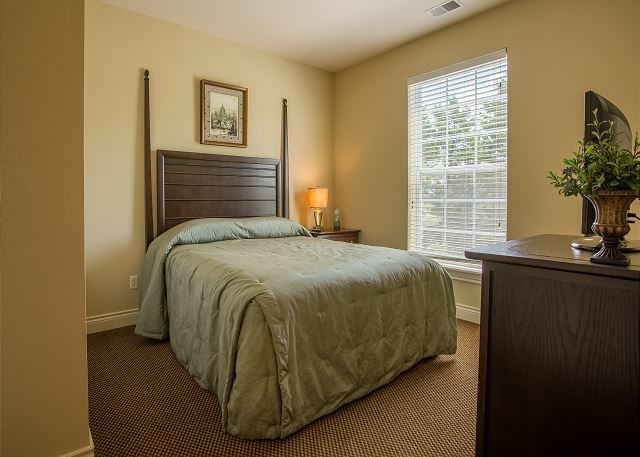 The accommodations were lovely, very comfortable, well equipped, quiet,. We even had the pool to ourselves. It was off the beaten path which we loved. It is quite a ways from the strip which we preferred. Really nothing is too far in Branson as long as you have a car. With six of us, the washer and dryer were handy. Each room was furnished beautifully. The kitchen was well-equipped and great for having breakfast before we set out for our busy days of sightseeing, attractions and shows. Access to the fitness room at the country club was within walking distance.